You love the OUNI concept and want to share with your loved ones the pleasure to spend some time in the most cozy and trendy shop in Luxembourg? 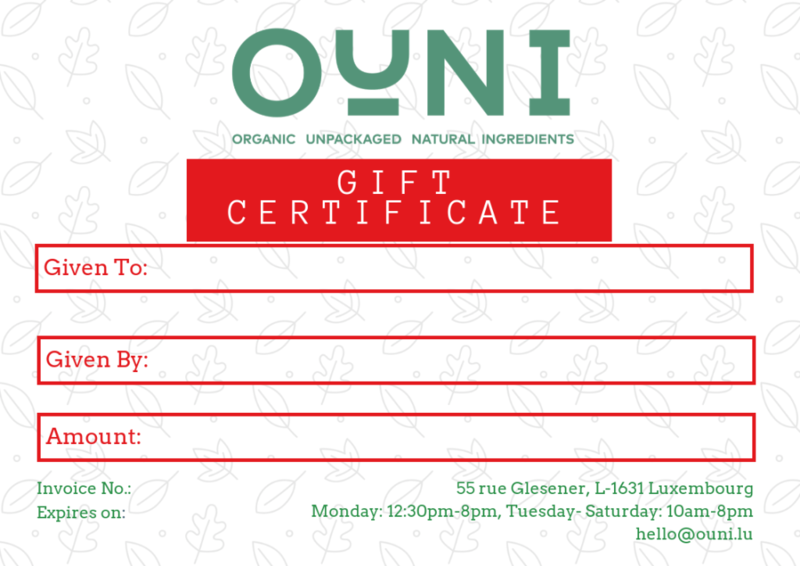 Offering an OUNI voucher is much more than a gift, it’s the experience of a different lifestyle and valuing quality time spent in a cozy atmosphere. Just fill in the below form and make the payment and you will receive the beautiful voucher!